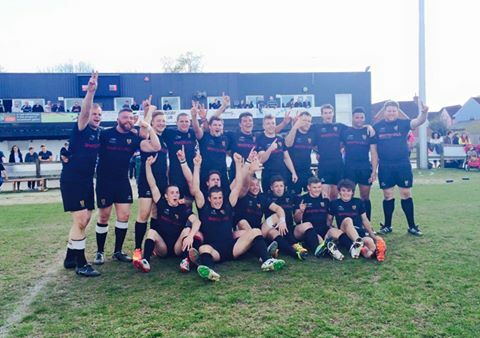 Eastern Counties 2 play off – Swaffham 36 Cantabrigian II 14; Colchester II 51 Diss II 3. Despite finishing bottom of Eastern Counties One Swaffham made the most of the lifeline offered by a play off to avoid relegation. They will be joined by Colchester II, the first second team to play in Eastern Counties One. Colchester II’s win means that Colchester III and Colchester IV have their promotions confirmed, but Cantabs III will have to stay in Eastern Counties 3 West following their second team’s loss at Swaffham. Hopefully there will be a complete list of promoted and relegated teams on the Eastern Counties website soon. Great idea to update playoffs. Unless I am missing something on England Rugby site, I cannot find any reference to play offs around the country. We follow each league game around the country but then miss the season finales that construct the next seasons!! Seems like we are missing the the key games information. Hi Richard and thanks for the comment. The other play off results from around the country are on the England Rugby site. Go to Fixtures & Results, choose the appropriate division and in the drop down menu the last option is the play off results.